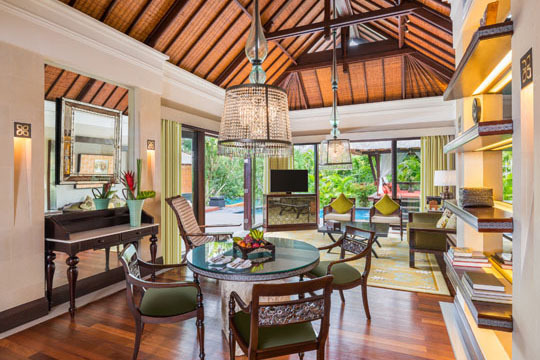 The alluring Bali villa experience is one of absolute privacy and seductive indoor – outdoor living. 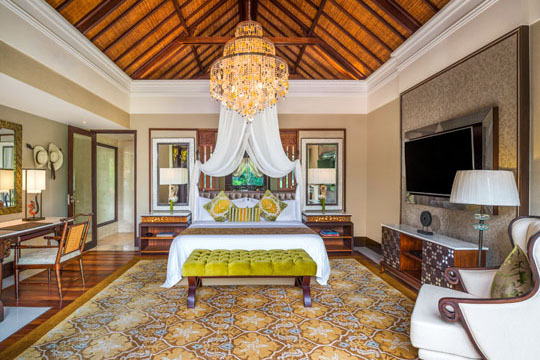 All of the one and two-bedroom newly refurbished villas within The St. Regis Bali Resort in Nusa Dua offer you a private entrance adorned with exotic tropical plants to signal that you’ve truly entered paradise. 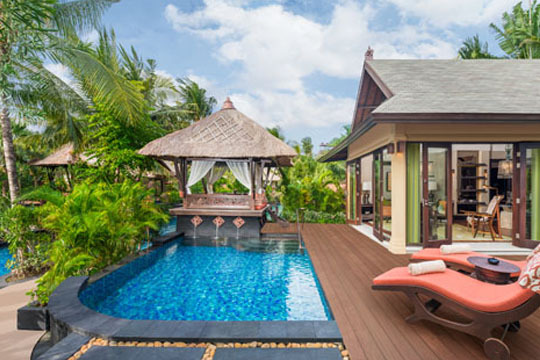 Each villa is open and airy with high ceilings and mahogany wood floors. 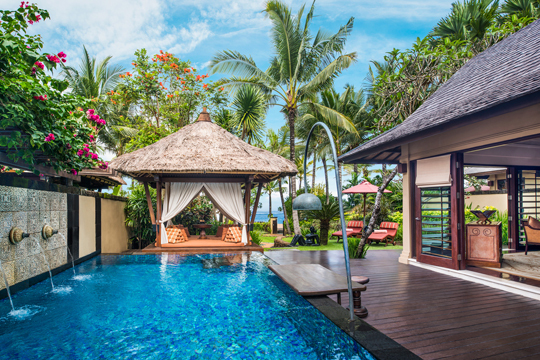 Throughout these spacious hideaways, the beauty is as much in the details of prominently displayed Balinese art as it is in the hand-embroidered throw pillows and wooden shutters that gently filter the sunshine. Gardenia and Lagoon Villas offer private butler’s quarters with separate entrances and bathrooms to ensure discreet indulgence. Lagoon Villas allow privileged access to the resort’s azure lagoon, while one-of-a-kind The Strand Villas overlook the endless ocean, offering a private path to white-sand perfection. Expect the finest technology at your fingertips, master bedrooms that offer plush, king-size beds with 300-thread-count fine Egyptian Ploh linen, automatically controlled blackout curtains, spacious, walk-in wardrobes and luxurious en-suites complemented with exclusive Remède bath products. 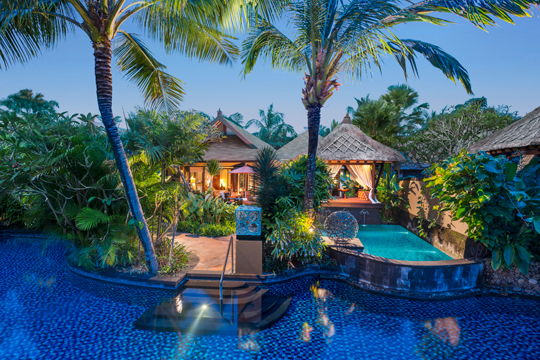 In true Balinese-style, your outdoor area is as comfortable as the interior with a glorious, split-level private garden, enchanting pool and romantic, private dining space.